Marantz has raised the bar with the PMD671. 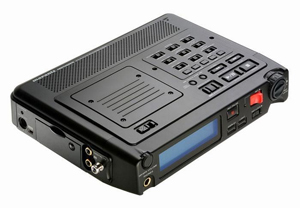 Whilst it is based very heavily on it predecessor, the PCM670, it can record 24-bit, 96kHz audio for the highest sound quality available in the field. The ability to read-after-write offers completely new levels of functionality never before available in a field recorder. Additionally, the mic preamps have been greatly improved. Then add programmable presets, and changing formats on the fly is as easy as pressing a button. Serious professionals need serious tools. 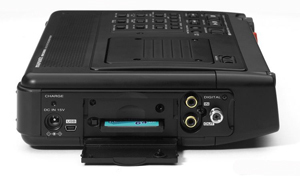 If your application requires uncompromising audio, good reliability, and flexible functionality, you might consider the PMD671. this quantum leap in fidelity. recorded as it was happening. 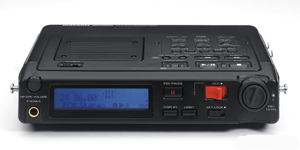 The PMD671 is unique in offering the 21st century version of this same functionality, by playing back the recorded data simultaneously, rather than simply monitoring the input source. The same technology that allows the virtual third head also allows time-shift playback capability. 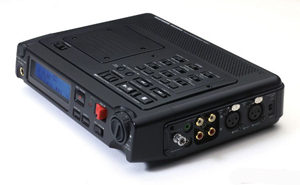 This means that as you continue to record an event, you can back up and listen to various parts, and then return to listening to the event in real-time. Court reporting and technical investigation may never be the same. power, and all new audiophile quality microphone preamps. Caught in a pinch? I/O's and digital I/O's are also provided. transfers to computers a snap. card and use any standard CF card reader. taking your eye off the ball.